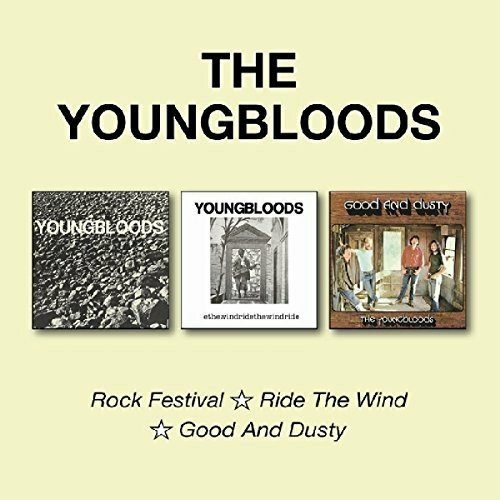 THE YOUNGBLOODS-ROCK FESTIVAL, RIDE THE WIND AND GOOD AND DUSTY. As the sixties gave way to the seventies, The Youngbloods had been together since 1965, and had already released three albums since they signed to RCA Victor in 1966. The albums found favour with critics, and were released to widespread critical acclaim. Despite the critical acclaim, the albums didn’t sell in vast quantities. However, when The Youngbloods rereleased their 1967 single Get Together in July 1969, it reached number five in the US Billboard 100. At last, it looked as if The Youngbloods’ luck was changing. Maybe the seventies was the start of a brave new world for The Youngbloods? For their first album of the seventies, The Youngbloods released their first live album Rock Festival in 1970, which was recently remastered and reissued by BGO Records. It’s one of three album that feature on a two CD set. The other albums are Ride The Wind a second live album released in 1971, with Good and Dusty following later that year. It was The Youngbloods’ fourth studio album since they released their debut album in 1967. However, The Youngbloods began two years earlier, in 1965. By then, bassist and vocalist Jesse Colin Young was twenty-four, and had already enjoyed a degree of success as a folk singer. He had already released two albums The Soul Of A City Boy in 1964, and Young Blood in 1965. However, Jesse Colin Young’s solo career was in the past. Things changed when Jesse Colin Young met twenty-two year old guitarist Jerry Corbitt, a former bluegrass musician. The pair decided to form a band, which they named The Youngbloods. Initially, The Youngbloods was a duo, with Jesse Colin Young playing bass and Jerry Corbitt switching between piano, harmonica and lead guitar. This initial lineup of The Youngbloods made their debut on the Canadian circuit. However, before long, Jerry Corbitt introduced Jesse Colin Young to Banana. This was none other than Lowell Levinger, a bluegrass musicians who was born Lowell Levinger III. However, the nineteen year old multi-instrumentalist was known within the music community Banana. Jerry Corbitt thought that Banana could flesh out The Youngbloods’ sound. Especially since Banana could play banjo, bass, guitar, mandola, mandolin and piano. Once Jesse Colin Young met Banana, he became the third and final member of the band. After that, things happened quickly for The Youngbloods. Having made their live debut at Gerde’s Folk City, in Greenwich Village, within a matter of The Youngbloods were the house band at the prestigious Cafe au Go Go. By then, The Youngbloods had already signed their first recording contract. Having signed to RCA Records, The Youngbloods discovered that the record label were unsure how to market the band. At one point, RCA Records tried to market The Youngbloods as a bubblegum pop act. However, in 1966, The Youngbloods released their debut single, Rider, which failed to chart. The followup was Grizzly Bear, which reached fifty-two in the US Billboard 100. Both of these single featured on The Youngbloods’ eponymous debut album. Work began on The Youngbloods’ eponymous debut at RCA Victor’s Studio B in New York, in late 1966. This was the start of a new chapter in their career. By then, founder member Jesse Colin Young was regarded as the focal point of the band. He was the band’s lead singer, and later, would become the band’s songwriter-in-chief. That was still to come. For The Youngbloods, Jesse Colin Young only penned two songs, Tears Are Falling and Foolin’ Around (The Waltz). Jerry Corbitt contributed just the one song, All Over The World. The remainder of the songs were covers of old blues and folk songs. This included Blind Willie McTell’s Statesboro Blues, Jimmy Reed’s Ain’t That Lovin’ You, Baby, Mississippi John Hurt’s C.C. Rider, Fred Neil’s The Other Side of This Life and Chet Powers’ Get Together. These songs were recorded at RCA Victor’s Studio B, with producer Felix Pappalardi. Once the album was recorded, The Youngbloods was scheduled for release in January 1967. When critics heard The Youngbloods, they lavished praise and plaudits on what was primarily an album of folk rock, with excursions into the blues and pop. Ballads and rockers sat cheek by jowl on The Youngbloods, which allowed the band to showcase their talent and versatility. Critics forecasted a bright future for The Youngbloods.. When The Youngbloods was released later in January 1967, the album reached 131 in the US Billboard 200. This wasn’t bad for a band who were only formed in 1965. The Youngbloods showed what the band were capable of. So did one of the singles released later in 1967. 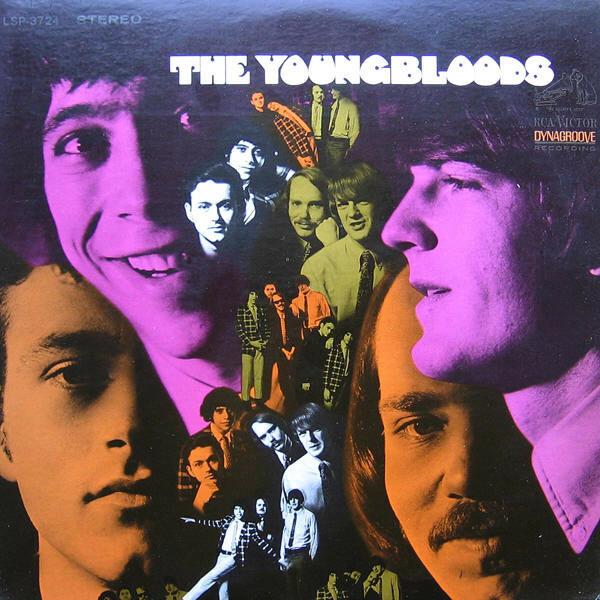 Six months after the release of their eponymous debut album, The Youngbloods released their cover of Chet Powers’ Get Together in July 1967. It was an anthem-in-waiting about universal brotherhood that had the potential to launch The Youngbloods’ career. Mercury Records had high hopes for Get Together, but the single stalled at a sixty-two in the US Billboard 100. This was disappointing. Get Together hadn’t reached the heights that executive at Mercury Records had hoped…yet. 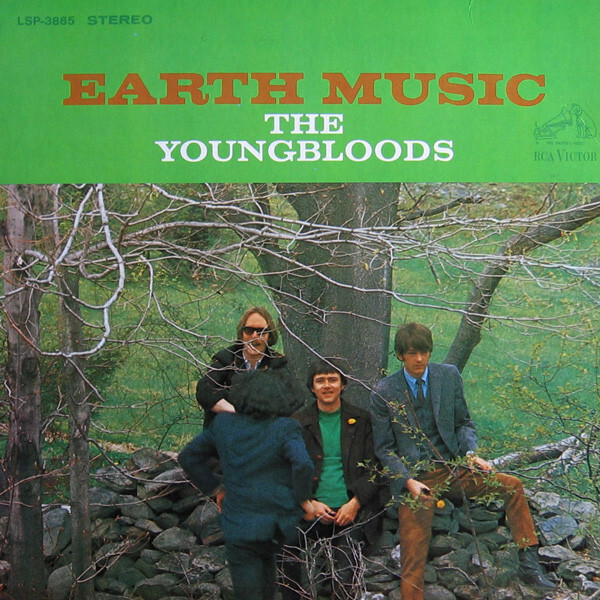 Having released their debut album earlier in 1967, The Youngbloods began work on their sophomore album Earth Music. Just like their eponymous debut album, Earth Music was a mixture of covers and original songs. Six of the songs on Earth Music was penned by members of The Youngbloods. Jesse Colin Young wrote All My Dreams Blue, Long and Tall and Wine Song. He also cowrote Sugar Babe. Jerry Corbitt penned Don’t Play Games and cowrote Dreamer’s Dream with Lowell Levinger who also wrote Fool Me. The remainder of the songs on the album were cover versions. including Robin Remaily’s Euphoria, Chuck Berry’s Too Much Monkey Business and Tim Hardin’s oft-covered classic Reason To Believe. Again, these songs were recorded with producer Felix Pappalardi at RCA Victor’s Studio B in New York, and would become Earth Music. Later in 1967, Earth Music was released to widespread critical acclaim. It was album that veer between folk rock to country and pop. There was even elements of jazz and psychedelia during an album of carefully crafted songs. Especially the cover of Euphoria, the mellow sounding All My Dreams Blue, Sugar Babe, Wine Song and a captivating cover of Tim Hardin’s Reason To Believe. Critics remarked on how the group were already maturing musically. Already some critics were comparing The Youngbloods to Lovin’ Spoonful. 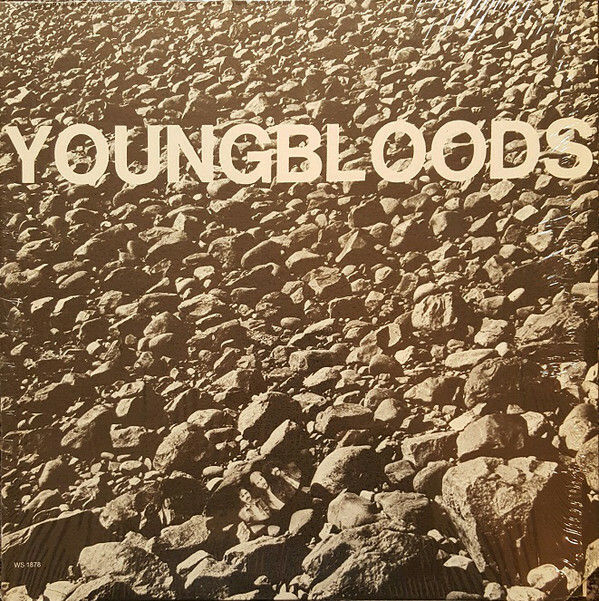 That came as no surprise, as The Youngbloods were about to release an album of carefully crafted and compelling songs that were playful and irresistibly catchy. Surely, an album of the quality of Earth Music would take The Youngbloods to the next level? When Earth Music was released later in 1967, the album failed to chart. Things got even worse when was a similar case when Fool Me was released as a single and failed to chart. For The Youngbloods this rubbed salt into a very painful wound. Nearly wo years passed before The Youngbloods returned with their third album. By then, there had been a change in the band’s lineup. Jerry Corbitt had left The Youngbloods to embark upon a solo career. Eventually, The Youngbloods settled on drummer Joe Bauer as Jerry Corbitt’s replacement. Meanwhile, Jesse Colin Young was well on his way to becoming The Youngbloods’ songwriter-in-chief. Jesse Colin Young wrote eight of the fourteen songs on Elephant Mountain. He also wrote Double Sunlight, Turn It Over, Trillium and Black Mountain Breakdown with the other two members of The Youngbloods. Lowell Levinger wrote On Sir Francis Drake, while Rain Song (Don’t Let the Rain Bring You Down) was penned by Jerry Corbitt, producer Felix Pappalardi and Gail Collins. These songs would be recorded on the West Coast at RCA’s Music Center of the World in Hollywood, Los Angeles. Joining The Youngbloods were some guest artists, including Jerry Corbitt, fiddle player David Lindley, vibes player Victor Feldman, trumpeter Joe Clayton and tenor saxophonist Plas Johnson. They played their part in what was another carefully crafted album, Elephant Mountain. When Elephant Mountain was released, critics again, lavished praise on the album. Given the quality of music, this was no surprise. They ranged from jazz-tinged acoustic ballads like Sunlight and Ride The Wind to captivating and playful songs like Smug and Beautiful and the bluesy, hard rocking Sham. Two songs were very different to anything The Youngbloods had written. Darkness, Darkness dealt with subject of depression, while Quicksand was a song about suicide. However, Rain Song (Don’t Let the Rain Bring You Down) was a return to the jug band songs like Euphoria and The Wine Song. It was part of what many critics regarded as The Youngbloods’ finest album. When Elephant Mountain was released in 1969, the album reached 118 in the US Billboard 200. This meant that Elephant Mountain was The Youngbloods’ most successful album. Despite this, the lead single Darkness, Darkness and the followup Sunlight failed to chart. However, a song from the past would transform The Youngbloods’ fortunes. In July 1969, The Youngbloods rereleased their 1967 Get Together. It had featured on radio and television commercials by the National Conference for Christians and Jews. These adverts were a call for brotherhood. They also paved the way for The Youngbloods first million selling single, when Get Together reached number five in the US Billboard 100. This was by far, the biggest hit single of The Youngbloods’ career. Despite the success of Get Together, The Youngbloods seemed to be in no hurry to release their fourth studio album. Between March and July 1970, the tapes were running during five concerts. The first was on March ’29th’ 1970 at The Family Dog, in San Francisco. Three weeks later, the concert at The Barn in Marshall, California on ‘16th’ April 1970 was recorded. Two nights later, on ‘18th’ April 1970, the tapes were running at the Santa Clara University. Then when The Youngbloods played at Provo Park in Berkeley, California on ‘19th’ May 1970. There was one final recording session on July ’21st’ 1970, at Pacific High Recording in San Francisco. At last, The Youngbloods’ fourth album was ready for release. When The Youngbloods released Rock Festival later in 1967, it was to the same critical acclaim as previous albums. Rock Festival was another eclectic album, where The Youngbloods showcased their versatility. However, it’s a quite different album from their three studio albums. Rather than play to the audience, and win them over with some of their best known songs, The Youngbloods head in new directions. Before that, they open the set with Jesse Colin Young’s It’s a Lovely Day, which gives way to Faster All The Time and Prelude. It’s followed by the instrumental On Beautiful Lake Spenard, where The Youngbloods stretch their legs musically. Fiddler A Dram finds The Youngbloods rework a traditional song. It gives way to the noodling Sea Cow Boogie, before Jesse Colin Young delivers a thoughtful cover on Tim Hardin’s Misty Roses. After Interlood, The Youngbloods unleahes the bluesy Peepin’ and Hidin’, before closing the set with Ice Bag, a free jazz workout. This eclectic set proved popular not just with critics, but record buyers too. When Rock Festival was released in 1970, it reached number eighty in the US Billboard 200. This made Rock Festival The Youngbloods’ most successful album. 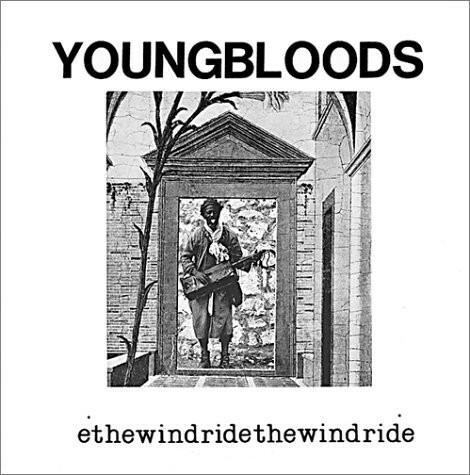 So much so, that a year later, The Youngbloods decided to release a second live album, Ride The Wind. Most bands wouldn’t have released two consecutive live albums. However, it was a case of need’s must. The Youngbloods still hadn’t completed work on their fourth studio. They had even released The Best Of The Youngbloods as a stopgap. However, this had backfired when The Best Of The Youngbloods reached just 144 in the US Billboard 200. Given the success of Rock Festival earlier in 1970, a decision was made to release a second live album, Ride The Wind as a stopgap. That would keep their fans happy while The Youngbloods completed their new studio album. Fortunately, The Youngbloods had recorded a number of shows over the years. This included three shows that took place in New York over three nights in November 1969. The first concert took place on ‘26th’ November, with the other concerts taking place on ’28th’ and ’29th’ November 1969. Six songs from these concerts were chosen for Ride The Wind. This included Jesse Colin Young’s Ride The Wind, Sugar Babe, Sunlight and Beautiful. They joined covers of Chester Powers’ Get Together and Fred Neil’s Dolphin on Ride The Wind. Critics on hearing Ride The Wind, lavished praise and plaudits on The Youngbloods’ second live album. It was a very different album, and found The Youngbloods improvising and taking songs in a new direction. So much so, that some, bore very little resemblance to the original version. Ride The Wind becomes a ten minute epic, and gives way to a jaunty, playful version of Sugar Babe. Sunlight soon takes on a pastoral sound, before The Youngbloods reinvent Fred Neil’s The Dolphin, which becomes a near flawless eight minute jam. The Youngbloods stay true to the original version of their million selling anthem Get Together, before Jesse Colin Young’s vocal plays a starring role in Beautiful, which becomes a funky workout. It closes Ride The Wind, which was released later in 1970. Despite the undoubted quality of Ride The Wind, the album stalled at 157 upon its release in 1970. This was a disappointment for The Youngbloods. However, they had just completed recording their fourth album Good and Dusty, which they hoped would get their career back on track. When The Youngbloods returned with Good and Dusty, it featured a new, expanded lineup of the band. Harmonica player Richard Earthquake Anderson had joined the band and made his debut on Good and Dusty. It was an album that featured cover versions of familiar songs including Johnny Otis’ Willie and The Hand Jive, Sonny Boy Williamson II’s Pontiac Blues, When Will The Circle Be Unbroken and Lieber and Stoller’s I’m A Hog For You Baby. This time round, Jesse Colin Young had only penned two songs Drifting and Drifting and Light Shine. Recording of these songs began at Raccoon Studios B on June ‘9th’ 1971. It took just over a month for The Youngbloods to record the thirteen songs on Good and Dusty, which was completed on July ’15th’ 1971. Good and Dusty was released later in 1971. 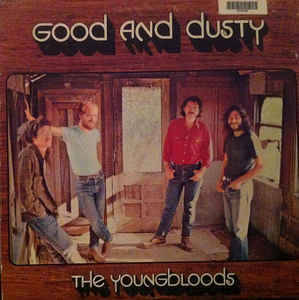 Just like The Youngbloods’ previous albums, Good and Dusty won over critics. They were impressed by an album that looked back at America’s musical past. Covers of old blues songs and song from the fifties feature on Good and Dusty. This includes the feel-good sound of Stagger Lee, which opens Good and Dusty, and gives way to a soul-baring cover of Roosevelt Jamieson’s That’s How Strong My Love Is. A playful cover of Willie And The Hand Jive is followed by the beautiful ballad Circus Face. It’s one of the highlights of Good and Dusty, while Hippie From Olema No. 5 is a country-tinged song penned by Lowell Levinger. Good and Dusty is a mini jazz jam, and a tantalising taste of what the song might have become if it had been developed further. Let The Good Times Roll, is reworked, before The Youngbloods head in the direction of the blues on Drifting And Drifting and Pontiac Blues. Moonshine Is The Sunshine continues the down home sound, before a country-tinged version of Will The Circle Be Unbroken unfolds. I’m A Hog For You Baby features The Youngbloods seamlessly fusing elements of country and blues, on this underrated song. This leaves just Light Shine, a beautiful, heartfelt ballad that’s another of the highlights of Good and Dusty. When The Youngbloods released Good and Dusty in 1971, the album stalled at a lowly 160 in the US Billboard 200. This was a huge disappointment. Things didn’t get any better when Light Shine was released as a single. Despite being one of The Youngbloods’ best ballads, it didn’t even trouble the charts. This rubbed salt into the wound. After the release of Good and Dusty, The Youngbloods released only one further album High On A Ridge Top. When it was released in 1972, it well received by critics, but reached just 185 in the US Billboard 200. For The Youngbloods it was a disappointing end to their career. Not long after the release of High On A Ridge Top, The Youngbloods split-up, with each band member embarking upon a solo career. This was just three years after The Youngbloods released their million selling single Get Together. Most bands would’ve been keen to have built upon the momentum created by Get Together, and began work on a new studio album. 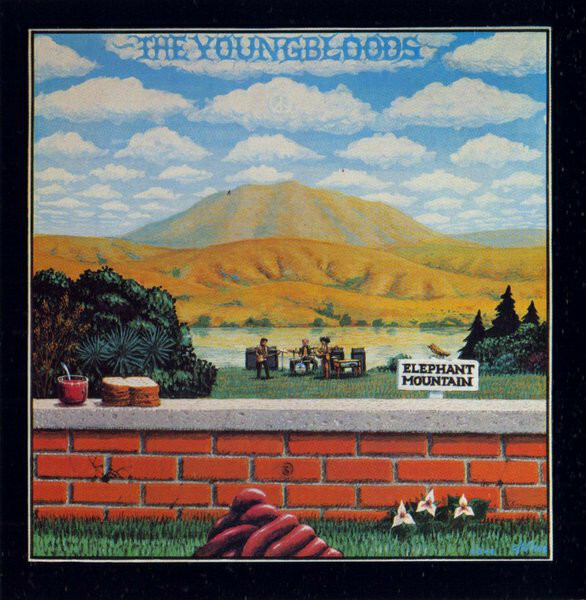 However, it took The Youngbloods two years to release Good and Dusty which was the followup to Elephant Mountain. By then, The Youngbloods had released two live albums Rock Festival and Ride The Wind. These weren’t the stopgap albums that many bands release between studio albums. Both Rock Festival and Ride The Wind showcase just how good a live band The Youngbloods were. Especially on Ride The Wind, where The Youngbloods improvise and reinvent six songs and take them in a new and sometimes unexpected directions. They become part of what’s one of what’s an oft-overlooked and hugely underrated live album. It’s a similar case with Good and Dusty, which was The Youngbloods’ long-awaited fourth studio album. It features songs like That’s How Strong My Love Is, Circus Face, Good and Dusty and Light Shine which are hidden gems within The Youngbloods’ back-catalogue. These songs are a reminder of The Youngbloods who are an oft-overlooked group. Most people know The Youngbloods’ million selling single Get Together. However, that’s just one chapter in the story of a band that released five studio albums and two live albums. Recently, BGO Records remastered and reissued The Youngbloods’ two live albums Rock Festival and Ride The Wind plus their fourth studio album Good and Dusty as a two CD set. This is the perfect opportunity to discover the delights of The Youngbloods, whose albums were released to widespread critical acclaim between 1967 and 1972, but sadly, never enjoyed the commercial success they so richly deserved. It’s only relatively recently that The Youngbloods’ music has started to find a wider, and much more appreciative audience. For The Youngbloods it’s a case of better late than never. ← FUNCTION UNDERGROUND-THE BLACK AND AMERICAN ROCK SOUND 1969-1974.